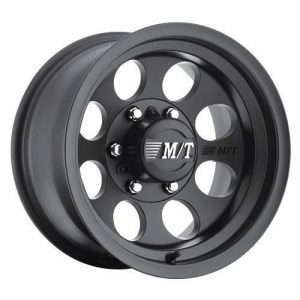 Mickey Thompson Classic III 17×9 5 on 5 Matte Black wheels. Suit Jeep JK Wrangler. Modular front bumpers let you customize a bumper to give your Jeep Wrangler just the right look. They allow you to choose between a stubby and full width bumper by simply adding wider end caps to the center bumper section. Many modular bumpers offer other addition accessories like bull bars and light mounting tabs as well.